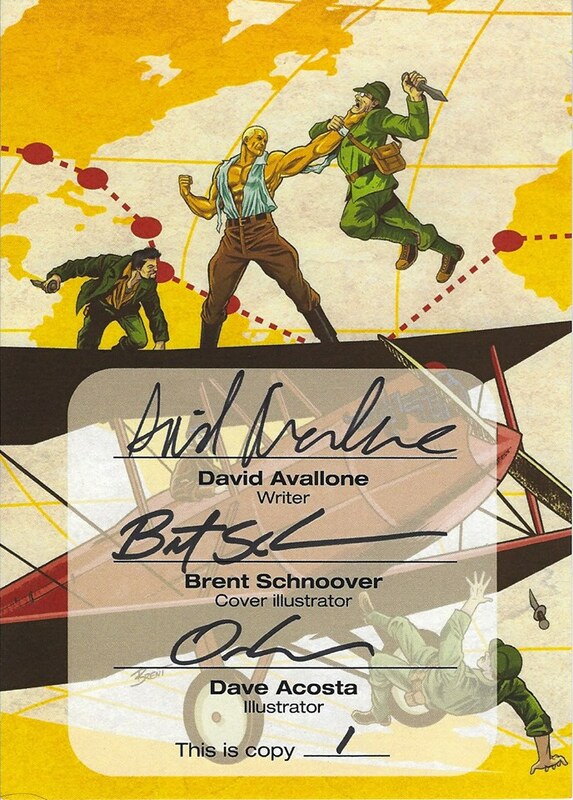 A Fantom Press exclusive signed bookplate edition of the critically acclaimed Doc Savage mini series, "The Ring of Fire"
Each copy comes with a book plate signed by writer David Avallone, illustrator Dave Acosta and cover artist Brent Schnoover. Limited to only 100 copies! 96 pages. 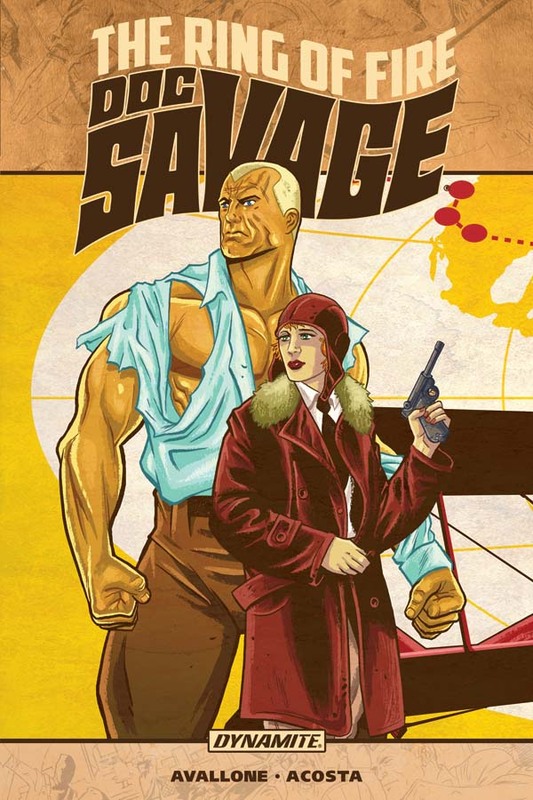 Contains Doc Savage: The Ring of Fire issues 1-4 plus bonus materials.